I’ve been incredibly busy with work and new projects in my life… however, I’ve been drinking plenty of coffee along the way. Rather than get too deep into the complexities of what I’ve been doing, I’d like to get straight to the point. I’m introducing a new featured post for this website: “Best of the Month”. This will revolve around the best and most interesting coffees I have been drinking this month, but it could also include the best in cafe experiences (best spro, best coffee) and more. 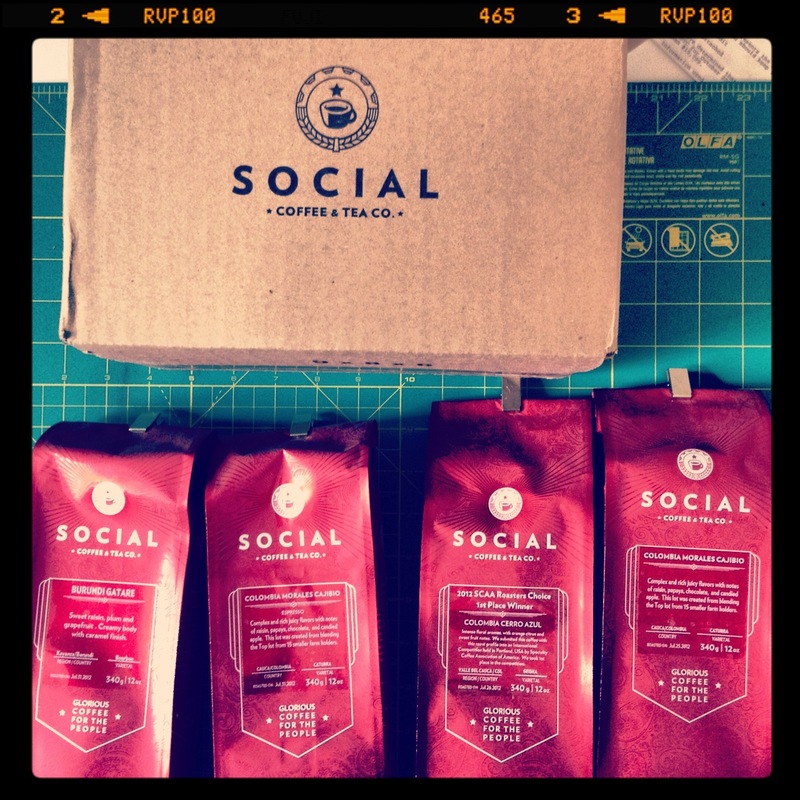 Thanks goes out to @SocialCoffeeCo yet again for sending me some coffee. Steve sent over 4 bags of coffee, most of which are new offerings from Social. There are two I’d like to focus on: a Colombian filter coffee (which was a Geisha crop they won the 2012 SCAA Roaster’s Choice with) and a Burundi as an espresso coffee. Geisha coffees are a difficult varietal, for a number of reasons. Because of this, Geisha’s usually fetch high prices to accommodate the risk, time and low yield associated with the varietal. Coffee is changing, and though more attention has shifted to the particular varietal(s) involved, much is still unknown about the geisha crop in particular. Nevertheless, they provide a very different experience; the result is a very delicate cup, which is certainly not for everyone. The Colombia Cerro Azul Geisha from Social was interesting because of the experience I describe above. It is unlike other coffee varieties, usually categorized by two things: explosive, intense aromatics and a thin, tea-like body. The Cerro Azul followed this typecast. I Prepared this via french press, pour over, etc, and found it to do best on the Clever Dripper (18g coffee to 300g water [6%]). High intensity aroma with citrus (orange and lemon), red fruit and red grapes. On the palate, it just did not match the powerful aromatics. It had good acidity, red grapes and savoury jasmine notes on the mid palate, and then finished with a cocoa-like dryness. Personally, while the aromatics were quite interesting, I have to lump in into my other Geisha experiences. These “experiences” are enlightening, but not fulfilling. I feel as if I am being cheated out of the complexity I get on the nose once I actually put liquid to lips and try the coffee. 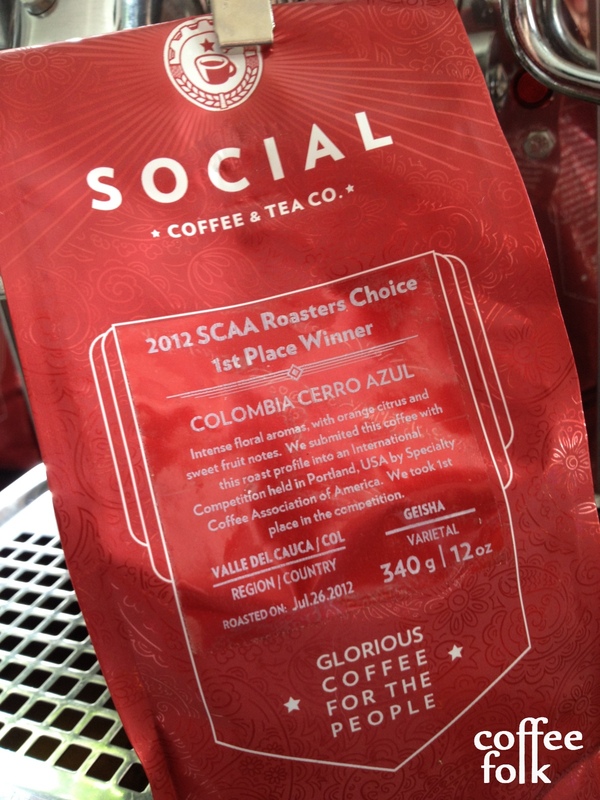 But, as I note above, Social won the SCAA Roaster’s Choice with this coffee, so not everyone would agree with me. First and foremost, I need to outline that I received a light-ish roast of the Gatare intended for filter brewing. My espresso brewing of this coffee was solely for experimentation and based on a hunch that I thought it could do quite well as an espresso. While grinding this coffee, I was reminded of cherry pop-tarts! This being said, I used a parameter of 19.5 grams coffee to 32 grams of water @ 93 degrees Celsius in 27 seconds on a semi-auto lever machine. 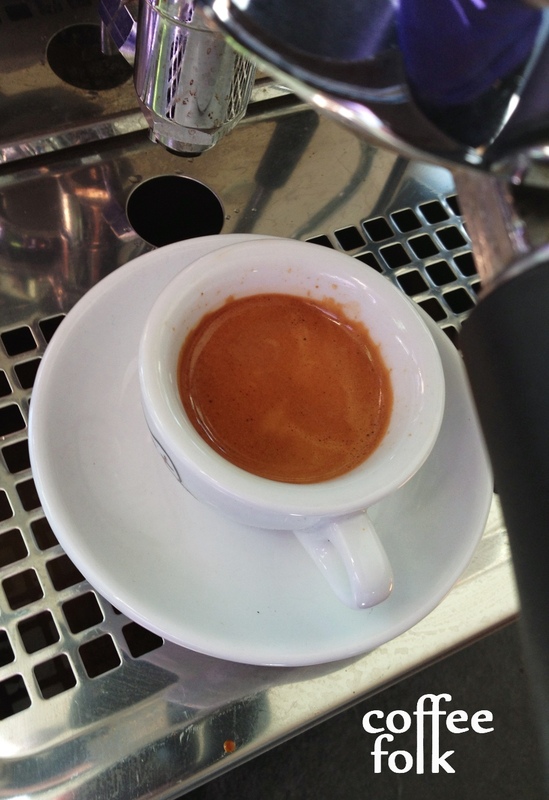 The result was a delicious, red stone fruit driven espresso. My notes were cherry, hickory and red plum on the nose, great acidity, nice sweetness. On the palate I got cherry syrup, red plum, and a gooseberry-like finish and acidity. Regretfully, I did not keep notes on particular experiences in July “out and about” on the town. 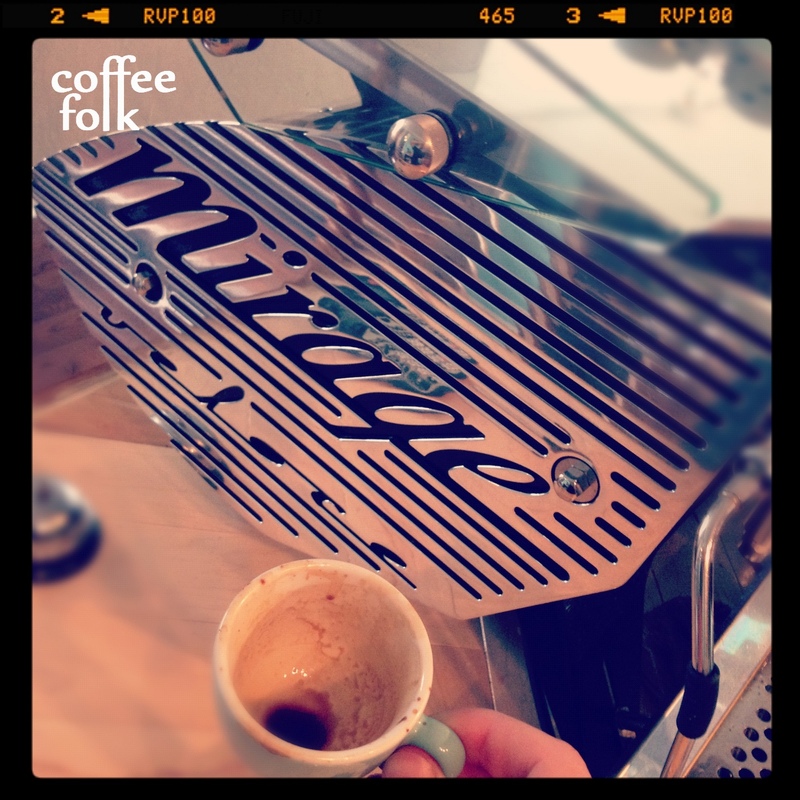 However, I did get numerous coffees from ‘Fixed Coffee & Baking’ through the month. ‘Fixed Coffee & Baking’ is relatively new on the scene (early summer of 2012). Despite this, each time I go in there I get a remarkably consistent espresso no matter who serves me. Each time I have received appropriate ~2 ounce doubles with great body, lots of sweetness, and good acidity. I can also recall heading to ‘Fixed’ early one morning and getting a delicious 5oz cappuccino and an old-school cinnamon bun. The capp had stellar latte art, perfect temperature milk, and a nice punch of espresso coming through with sweet anise notes – just a delicious. It was a great experience overall. I’ll be exploring this more over the August month. So that’s July in a nutshell. Thanks for checking it out, and I’d love to hear about anything you would like to see next month.